Kimber and Lauren DiTallo of High Finance Farm offer riding experiences for all levels of riders. Gurnee, IL - October 12, 2017– Kimber and Lauren DiTallo of High Finance Farm are pleased to present an in-house share board/lease program they developed to allow riders to move up from the riding school to the show circuit. Select horses are available in the program and are not used in the riding school, but strictly for riders to lease or share to really experience the sport. The animals are show quality to introduce riders to horse shows so they can get experience at a higher level of riding and showing. "Riders can come and ride more often than just one lesson a week, which allows for more practice time," said Kimber. "They can go through the whole routine of owning a horse without the big cash outlay. Riders get to groom them, bathe them, ride and really spend quality time learning more about horses by working with them." "People can get a feel for what it's like to own their own horse so they can understand what's involved in owning and showing their own horse someday," added Lauren. These are some of the horses available to lease at High Finance Farm. HFF Tax Return (aka Tommy) is a hunter that competes up to the 3’ height. He is currently shared by two High Finance Farm riders. HFF Bond Market (Smoothie) is also a hunter competing up to the 3’ level and is also shared by two riders. 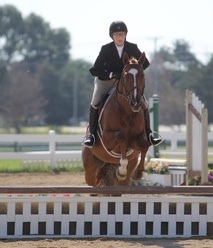 Both of these horses have gone to Balmoral Park shows this past year and competed successfully. The last horse is HFF Cold Cash (Popsicle). 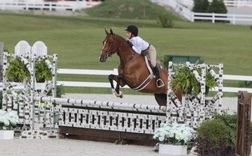 He is a jumper that is competing up to the 1.10 level. He has only shown at shows at the Fields and Fences location in Gurnee, but is ready to venture out. "We bought these horses so we can advance our riders and encourage future investments in horses of their own," added Kimber. HFF 24 Carat (Bling), a pony, has gone off to the rated Balmoral shows in the short stirrup divisions and was champion with a kid who only rode him a handful of times. In addition to the share/lease program, riding school program and show program, High Finance Farm regularly offers educational opportunities. 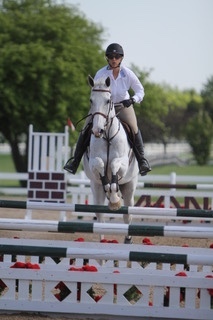 The farm has again invited Julie Winkel to return to clinic at Fields and Fences October 14-15. The clinic will host 4 groups this year which include the traditional groups at height/experience of 2’-2’6”, 3’-3’3” and 3’6” and over along with an Intro/Basics Group. Auditors are welcome at $30 per day or $50 for 2 days (includes light breakfast and lunch). For more information on the clinic or the share board/lease program, contact Kimber at 847-436-1234. High Finance Farm provides fun and educational opportunities with riding lessons, clinics, school shows and special events. 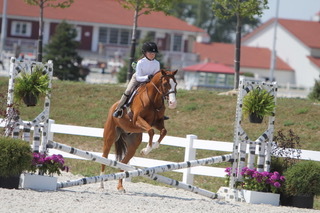 They offer experienced trainers for all levels of riding in a fun, safe environment. They can meet your needs, goals and budget to give you the perfect equestrian experience. 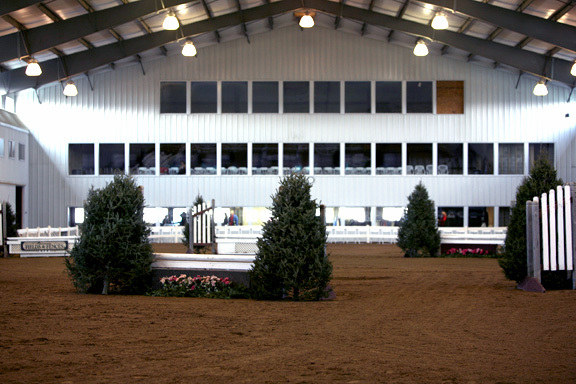 The facility offers all the amenities for the comfort and convenience of horses, riders and spectators. For more information on High Finance Farm please visit www.highfinancefarm.com or "Like" them on Facebook. 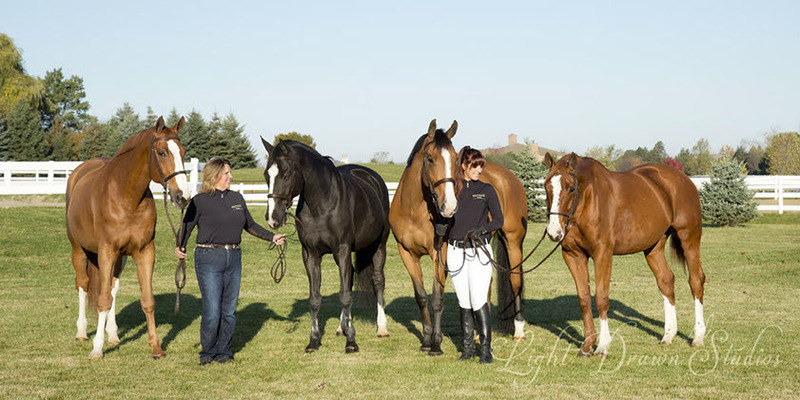 For more new,s subscribe to www.ChicagoEquestrian.com and "like" us on Facebook.